Excellence is a basic requirement. Translation/subtitling of Chinese TV documentary to English, ~34 pages of script. Government / Politics, History, Government / Politics No comment. Translation of two short stories from Chinese to English, ~14000 words total. Translation/subtitling of a Chinese documentary to English, ~30 pages of script. History, Government / Politics No comment. Simplified Chinese to Traditional Chinese conversion of mobile phone platform content, primarily UI. Major soccer (football) game, English to Chinese, ~10000 words core content plus updated content. Sports / Fitness / Recreation, Games / Video Games / Gaming / Casino No comment. MMO strategy game for mobile platforms from major publisher, English to Chinese. 14770 words core game content plus translation of press releases, marketing contents and regularly updated material. Marketing / Market Research, Games / Video Games / Gaming / Casino No comment. Soccer (football) game from Chinese to English, 38840 words. MMORPG localization from Chinese to English, ~35000 words. R2Games: Lincoln is professional, courteous and quick to respond. MMORPG/trading card game for mobile platforms, Simplified Chinese to English, ~35000 words. Cantonese language learning app, translation and Cantonese phonetization of various phrases, expressions and terms. Linguistics, Education / Pedagogy No comment. Client: R2Games Browser-based MMORPG localization project from Chinese to English. ~36000 words translation, ~39000 words proofreading. R2Games Browser-based MMORPG localization project from Chinese to English, 23841 words. R2Games: Strong in both technical and creative translation. Meticulous eye for detail. Asks intelligent, useful questions. ProZ.com platinum member : Good job. Thanks. Proofreading of English-Simplified Chinese tourism material into Traditional Chinese. ProZ.com platinum member : Good job! Audio translation of two law enforcements interviews from Cantonese to English, approximately 160 minutes of Cantonese audio total. Proofreading of English>Simplified Chinese marketing research material into Traditional Chinese. ProZ.com member : No comment. 6 pages of a financial statement as part of a rush job, Chinese > English. Blue Board outsourcer (50 to 100 entries): Fast, efficient, great communication. Excellent experience! Proofreading of technical music-related material English>Chinese, 1755 source English words. Finance (general), Finance (general) No comment. Social Science, Sociology, Ethics, etc. No comment. Client: R2Games Browser-based MMORPG localization project from Chinese to English. 50138 words translation. It is a chilly November morning in India. Vagabonds both young and old huddle in a corner around a fire, a shade of red over their tattered clothing, while several children slumber in the firelight, their dirt-smeared faces reflecting an impoverished innocence that makes the heart ache. A tired woman wrapped in a timeworn sari that has lost its splendor holds her infant in one hand and reaches for the fire with the other. Pass in darkness through winding alleys, until the sounds of the river begin to fade into earshot, as the descending trail takes one ever-downwards. The banks of the river come into view. Little wisps of light flow along the river, its expanses giving the impression of unlimited openness even in the dim light. Souls come and go in this holy city, as children peddle little plates of flowers and candles on dried leaves, seemingly without sleep or rest, lest their business vanish in a moment's slumber. The boat departs the shore. With a prayer, candles are lit and left to flow from the boat onto the waters. Perhaps the gods are listening as prayers converge upon the flickering candle light over the Ganges, tiny dots of flame coming to form a beautiful curve over the river, in the darkness before dawn, a heavenly chorus without sound. For many travelers to India, this is the most mysterious and surreal experience, as well as the most tranquil and moving moment that they will walk away with. - Exerpt from "On the Eternal River", Wenin Chung. Reproduced with permission. The trend of contemporary literary thought has inevitably shifted from individualistic literature to communal literature. Novels are widely recognized not only to hold an important role in literature, but also as a powerful tool in social education, influencing society and thought. Our nation's novelistic output is hardly barren, yet most of them pertain either to the ethereal realm of ghosts and spirits, or exist as The Words and Works of some noble prince or great hero; one can write some account of beautiful maidens and handsome scholars, and be hailed as a masterpiece. Yet such works have no impact on society and thought. Certainly there are some that may be considered Social Novels, such as "Dream of the Red Chamber", "Water Margin", "The Scholars", and "The True Face of Bureaucrats", but Dream of the Red Chamber's scope is limited to that of noble families; Water Margin depicts only how bureaucratic officials force good men into banditry; The Scholars is a tirade on the Imperial Examination system; and The True Face of Bureaucrats' main goal is to make everyone feel that officials are the most unscrupulous and unsavory things in the world. Their works depict various matters in a satirical manner, and are not entirely unbeneficial to the soul, but their impact on society at large is localized and not general, and as such are less than perfect. Only "The Strange State of the World Witnessed Over 20 Years", written by Wo-Yau, a native of Nanhai, Canton, may be considered the masterpiece of our nation's social literature. The first movement portrays noisy children playing soldiers and marching in the pine groves of the Villa Borghese gardens. The second is a majestic dirge, representing pine trees near a catacomb in Campagna. Lower orchestral instruments, plus the organ pedal at 16' and 32' pitch, suggest the subterranean nature of the catacombs, while the trombones represent priests chanting. The third is a nocturne set on the Janiculum hill. Respighi took the opportunity to have the sound of a nightingale recorded onto a phonograph, and have it played at the movement's ending. This was something that had never been done before, and created discussion. The score also mentions a specific recording that references a Brunswick Panatrope record player. The final movement portrays pine trees along the Appian Way. Misty dawn: a legion advances along the Via Appia in the brilliance of the newly-risen sun. Respighi wanted the ground to tremble under the footsteps of his army and he instructs the organ to play bottom B flat on 8', 16' and 32' organ pedal. The score calls for buccine - ancient circular trumpets that are usually represented by flugelhorns. Trumpets peal and the consular army rises in triumph to the Capitoline Hill. Experience Years of translation experience: 7. Registered at ProZ.com: Jun 2013. Became a member: Jul 2013. Professional practices Lincoln Hui endorses ProZ.com's Professional Guidelines. I am a Hong Kong-based freelance translator natively proficient in Chinese and English. I hold a Bachelor of Arts in History from Penn State University with minors in Japanese and Music Studies and a Postgraduate Certificate in Translation from the University of Hong Kong School of Professional and Continuing Education. I have also pursued graduate studies at the Master's level in music (conducting) and music history. 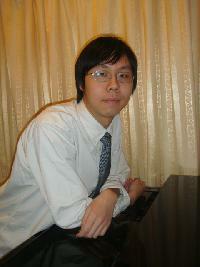 I primarily offer translation services in Chinese to English and English to Chinese. Growing up in a fully bilingual environment, I am among the few translators who can claim full native-level proficiency in both languages and back it up with quality results as a professional translator in both language pairs, with excellent command of both languages and an intuitive understanding of language flow, complemented by experience. My translations distinguish themselves by combining the best of both worlds with complete understanding of the source text in either language, and presenting it in a natural and idiomatic manner in both target languages. I also hold an N1 certificate on the Japanese-Language Proficiency Test (JLPT) and I offer translation service from Japanese into English and Chinese for select domains. I am an experienced transcriptionist and highly proficient at translating from audio. I have translated law enforcement interviews, customer interviews, social work interviews, focus groups, business meetings, among others, in both English to Chinese and Cantonese to English. I hold a Bachelor of Arts in History from Penn State University and have worked on several projects related to military history, a particular interest of mine. I have translated a number of articles on Hong Kong history and was lead translator on a major project on a historic museum, as well as a documentary on a major contemporary historical figure. I have extensive experience translating content in the IT field, ranging from computer hardware and software to services and consumer electronics. My translations have been used by major electronic equipment manufacturers and IT service providers. Content types have included product brochures, marketing pamphlets, specification sheets, advertisements, discussion forum videos, and other marketing and technical content. I have worked with marketing content such as advertisements, product brochures and pamphlets, and press releases in a variety of fields, including IT, consumer electronics, tourism, wine and liquor, automotive and dining. I particularly specialize in surveys and questionnaires, including consumer and user experience surveys as well as respondent answers. My work in this field has been used by numerous major and minor clients in the banking and financial, dining, tourism and hospitality, automotive, luxury products and real estate development industries. I completed a minor in Music Studies at Penn State University and pursued graduate studies in choral conducting and music history. I am a proficient pianist and have worked professionally as an accompanist since 2008; I have also studied voice, organ and flute. I have taught music theory, score reading and aural skills in both classroom and individual settings to students with a wide range of abilities, from complete beginners to young intermediate students to established music teachers seeking an advanced certificate. As a conductor I have founded and performed with my own chamber choir and orchestra, and from 2016-2017 I served as Assistant Conductor of the Toledo Choral Society in Toledo, OH. Since the start of 2019 I have sponsored and conducted chamber orchestra performances under the name Porokaza Camerata. My Chinese translation of Indivisible by Four: A String Quartet in Pursuit of Harmony, an account of the Guarneri Quartet by its first violinist Arnold Steinhardt, is expected to be published in 2019 in Hong Kong, Taiwan and Macau by Red Publishing. I have done extensive translations for leading tourism service aggregator/agency websites. My work covers a wide range of content, including hotel descriptions, terms and conditions, mobile app instructions and support FAQ, as well as extended blog articles introducing various tourist destinations and landmarks from Hong Kong to Fukuoka to Zagreb. In addition to projects for travel websites, I have translated various newspaper and magazine tourism articles, as well as extended articles on historical buildings of Hong Kong. My English to Chinese and Japanese to Chinese translations have been used by numerous developers and publishers, including some of the leading game publishers in the world. I have been involved in the localization of numerous titles and franchises, including two major football/soccer titles, IP-derived games and a number of major mobile action and strategy titles. I have also worked on numerous product information and marketing material for a major video game accessory developer. In Chinese to English, I have been lead translator or major translator of over a dozen Chinese MMO titles for PC and Android/iOS platforms. Genres have included MMORPG, strategy, card game and management simulation. As a gamer, my interests encompass virtually every genre. I particularly enjoy strategy games, role-playing games and first-person shooters, and I follow the latest developments in the gaming world closely. I work regularly with a wide range of content outside of my primary working areas, including fiction, instruction and safety manuals, company reports, topical news/magazine articles, basic legal content, etc. In addition to standard translation and proofreading/editing services, I also provide language-related consulting services on various matters, in order to meet specific client requirements or help them better understand their needs.